If your car doesn’t have Bluetooth but your smartphone or tablet does, you can quickly and easily make your car Bluetooth compatible with the aid of this audio receiver, which simply plugs into your car’s 3.5mm aux-in jack to fill your car with your favorite tunes and podcasts. 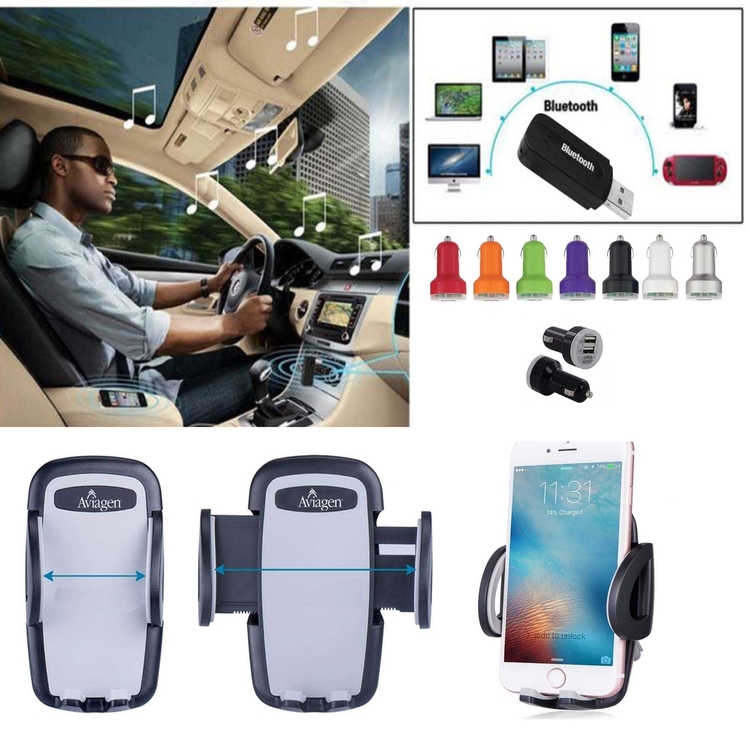 Universal air vent car phone mount works with all brands and mobile devices between 2.1" and 4.2" wide. Attach to your air vent and you're good to go. The rotatable holder can be installed in all air vent types in any vehicle while remaining fully 360° adjustable for the best viewing angle. The clamp also comes with 2 support feet to stabilize your device. Charge your USB devices while you drive. And don't charge just one, charge two! This Dual USB In-Car Charger is designed to fit your car's cigarettes lighter and is perfect for charging devices such as iPods, iPads, iPhones, other mobile phones, digital cameras, GPS and other USB powered devices.